I need cooking fuel, I need alcohol. 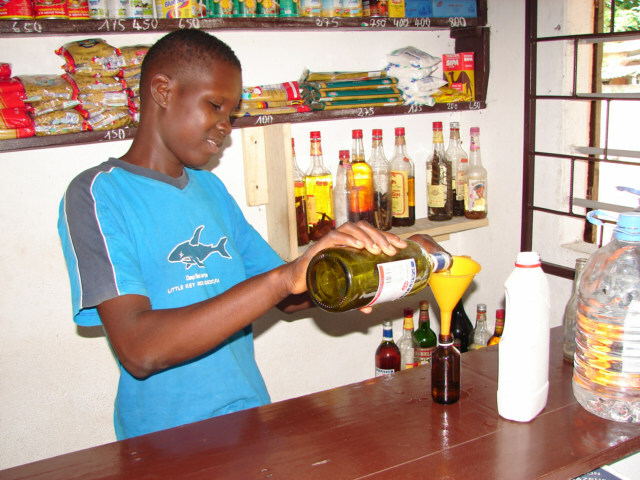 The pharmacies here in Togo are selling 95 percent alcohol for 4 US Dollars per liter or about 2000 CFA. I am annoyed, and in a way, it is difficult to buy, then I came up with the idea, this local Moonshine called Sodabi could work, and it does not good, but it works. I can cook with Moonshine with my alcohol cooking setup, and Sodabi is easy to buy. There are problems with this drink, I think the alcohol burns off the top and I need to discard the remaining, and my room smells like moonshine. Quatre Heure is the name of this drink, a reference to a man. 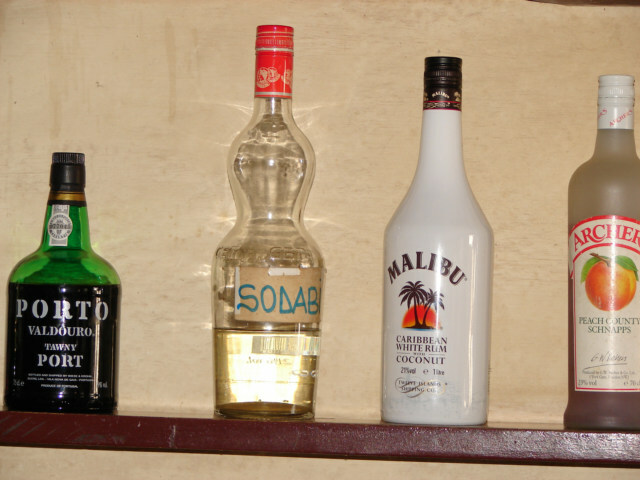 That brown bottle full cost 150 CFA or about 25 Cent US. Lint to Photos I took of a distilling process of Alcohol here in Koti, Togo, West Africa and related links about alcohol. This is a bottle of Sodabi in a French restaurant, the cost is 500 CFA for a shot, I think smaller than the Togo size shot. Explanation of what is Moonshine or Home Made liquor, there is also a lot of information about Nigeria Moonshine. In Nigeria, home based brewing is illegal. Moonshine is variously called 'ogogoro', 'kainkain', 'abua first eleven', 'agbagba', 'akpeteshi', 'aka mere', 'push me, I push you', 'crazy man in the bottle', or 'Sapele water' depending on locality.